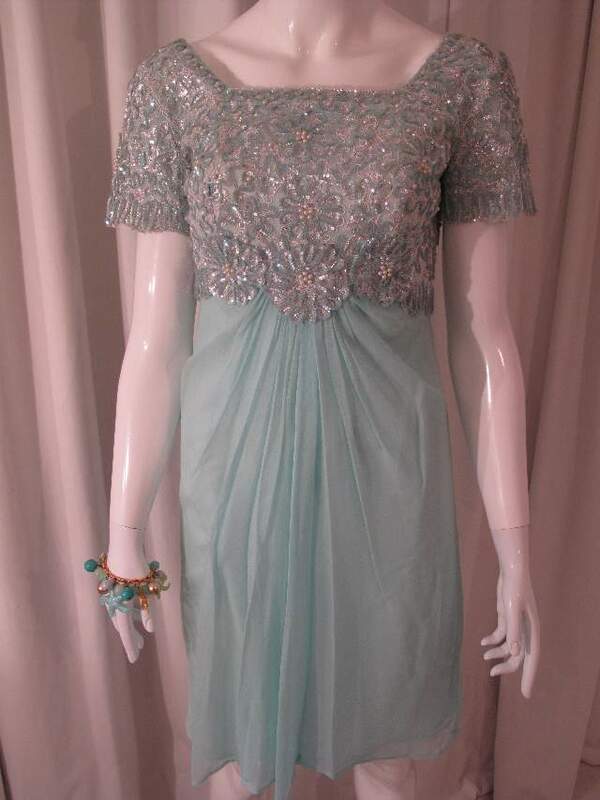 1960 s Aquamarine sequin and chiffon vintage cocktail dress Emma Domb. 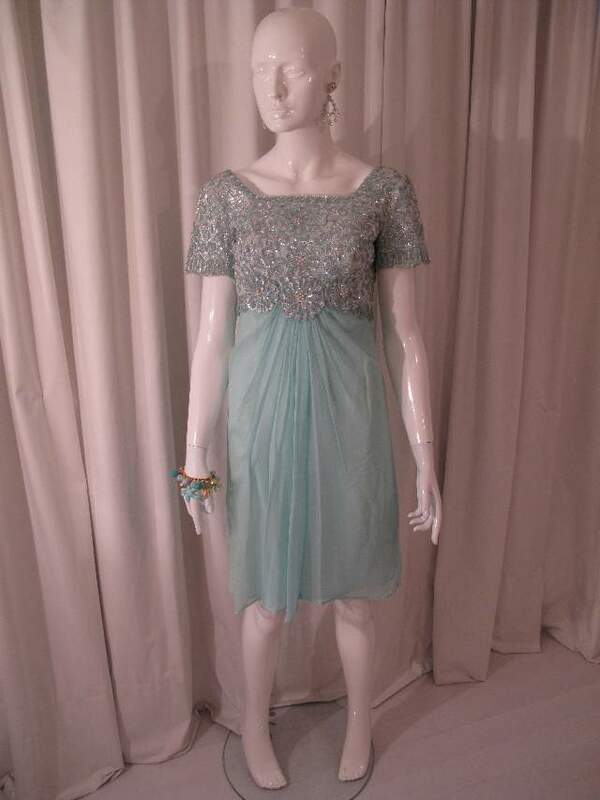 1960's Aquamarine sequin and chiffon vintage cocktail dress Emma Domb. 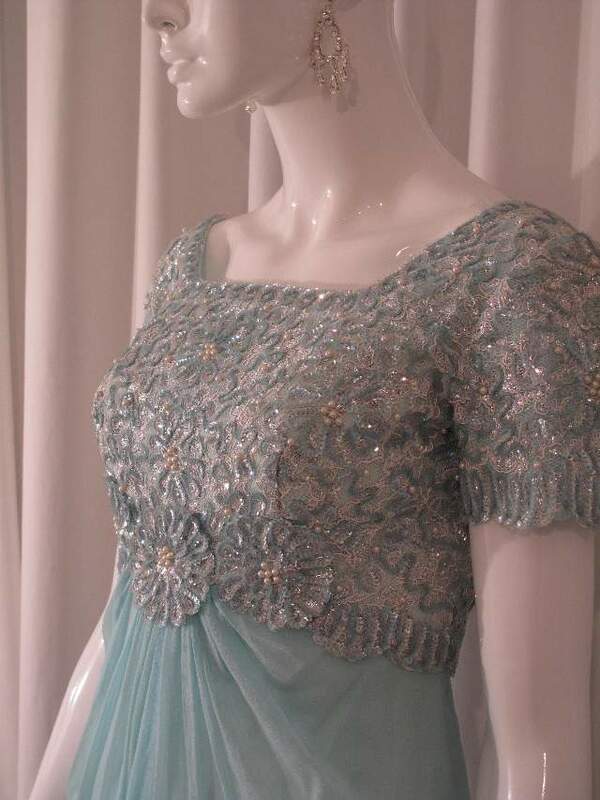 1960's Aquamarine sequin and chiffon vintage cocktail dress. Square neck bodice with short scalloped sleeves in silvery lame lace. 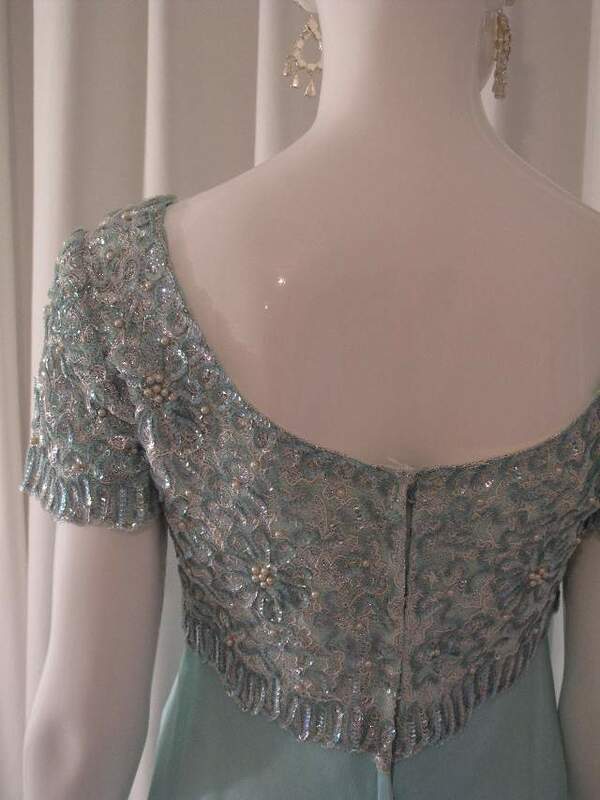 The top is covered with aqua iridescent cup sequins, with clusters of faux pearls. 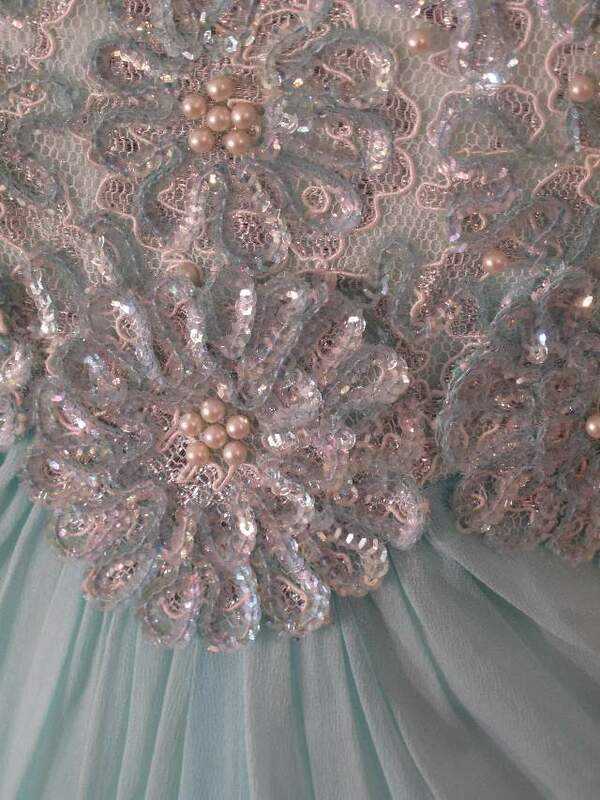 The front waist has three large rosettes of sequins and pearls. The skirt is aqua silk chiffon, ruched and draped at the front, so that it falls in soft folds. This is a really beautiful dress, in a gorgeous high Summer colour. Although in the cocktail section, this would look perfect for a Summer wedding........ . Crystal strappy sandals and a Judith Lieber clutch!